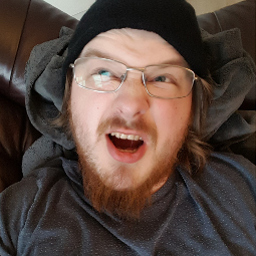 I'm a professional developer from Norway, I currently live in the beautiful city of Bergen, I'm a Zend Certified PHP Engineer and a Microsoft Certified Professional. In my spare time I like to read books and watch tutorials on software development concepts, programming languages, design patterns and techniques to further develop my skills and understanding. Vacym (Vacation Gym) is a Norwegian website where Fitness centers can sign up and list their business along with some details about their facilities, visitors can then sign up and pay for a Day/Week tickets to exercise there. The site integrates with Stripe Connect, generates and validates QR code tickets, has email notifications and has an intuitive and easy user interface with Google Maps integration that displays the Fitness centers. Utleiesystem.no is a Norwegian multi-tenanted SaaS I developed and designed along with a partner, the product and website has strong branding all throughout, it is built on PHP and has PDF generation, Amazon S3, Mailgun and Cloudinary Integration and Database migrations. Reconiz is an american startup who has developed a very cool iOS app in the entertainment/celebrity niche, they needed a web developer to translate their design into a fully working website, I was very happy with how the website turned out, I recommend checking it out. Lomotif is a startup from Singapore, they had created a nifty iOS app that let the user add music to instagram videos, creating your own music videos, they had a design that they wanted to be coded into a website to put online, I was the person they picked for the task. 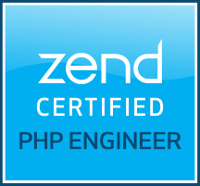 Exam by Zend Technologies and received the ZCE diploma and certification. I became a Microsoft Certified Professional on the 19th of May, 2016 by passing the Programming in C# exam ref 70-483, the MCP certification validates technical expertise throught industry proven and industry-recognized exams. I'm available for small and medium sized freelance jobs. I use professional tools to aid me in my work.